EngagingPatients.org Applying the Race and Ethnicity Lens Offers a New View of Patient Engagement - Welcome to EngagingPatients.org! Two elderly, low-income women, one black and one Hispanic, visit the same doctor. During each appointment, the doctor makes some suggestions. The black woman disagrees and speaks up; the Hispanic woman disagrees and stays silent. Later, the black woman decides to switch physicians; the Hispanic woman does nothing. Stereotyping? Not at all. The scenario above is based upon a national sample of seniors who responded to the 2014 Medicare Fee-for-Service Consumer Assessment of Healthcare Providers and Systems (M-CAHPS) survey. 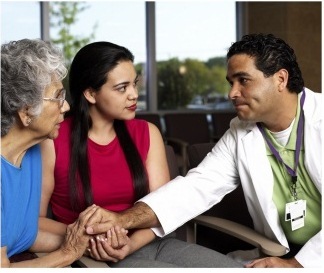 Patient engagement is often hard to quantify. But just as the process of finding a compatible romantic partner is becoming data driven, so, too, is our understanding of patient satisfaction. 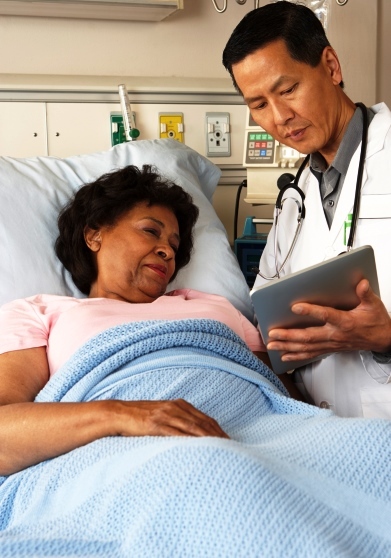 Research on the impact of race, ethnicity and income on patient engagement that was presented at the recent annual meeting of AcademyHealth illustrated the point. Culture was also central to an effort to pry apart the complicated question of whether seeing a doctor with the same race, ethnicity and language left patients with a better experience of care. The research, led by Vani Nimbal of the Palo Alto Medical Foundation (PAMF) Research Institute, was a data-driven exercise that included responses from more than 50,000 individuals visiting local outpatient clinics. “Culture” and “expectations” were offered to explain the eyebrow-raising finding that Hispanics who spoke little English ranked Spanish-speaking, non-Latinos lower than no n-Latinos who didn’t speak Spanish. Those same Hispanics who spoke little English, however, were more dissatisfied with an ethnically-Hispanic provider who didn’t speak Spanish. Chinese patients, on the other hand, didn’t change their ratings of doctors based on ethnicity or language, perhaps because they didn’t expect to find a Palo Alto provider who spoke Chinese. Asian Indians, meanwhile, rated their doctor visits higher for “communication” when the provider was also an Asian Indian. Perhaps the real key to the patient engagement puzzle can be found in that old saw, “Money talks.” Anushree Vichare and Tiffany Green of Virginia Commonwealth University, again analyzing a national data sample, concluded that low- to middle-income respondents were much more likely to report that their family doctor listened carefully, explained medical care in an understandable way, showed respect and spent though time with them. As I wrote on this blog site last year, citing a number of published studies, race and ethnicity do matter in medicine as much as in other sector of our society. Still, while money may not change everything, “green” (as in socio-economic status) may sometimes color patient engagement efforts more than any other factor. The bottom line of boogying to Bollywood? Those who attended at least 10 of the 16 dance classes showed “a statistically significant reduction in weight.” The classes were conducted by “the lead Bollywood instructor at the community center,” the research team wrote, but a quick Web search uncovered this Bollywood dance workout video with more than half a million views. Patient engagement efforts may be increasingly data driven, but who says they can’t still be fun? The cause of black-white disparities is, of course, a key question. Sometimes, it’s economic. But, unfortunately, there have been studies of Medicare patients (identical insurance) that find disparities. My guess is that the reason differs by condition and by geography, but that a contributing factor remains the way in which non-African-American doctors communicate with their African-American patients. Racism, even unconscious? Surely present to some degree. But what is the line between “cultural assumptions” we make about everyone (race, education, how they dress, etc.) and outright prejudice? These disparities are not the headline-grabbers of overt racism, but they are nonetheless a matter of life and death.